Alcohol is viewed by society in different ways. It can be a social activity for friends and family to celebrate a holiday or other big event. For others, it can be considered only for its potential negative health consequences from use. The truth is that for certain people, in moderation, alcohol can be a fun way to enjoy oneself without being a serious health concern. For others, however, it’s important to consider the potential negative consequences not only to one’s overall health, but more specifically oral health. 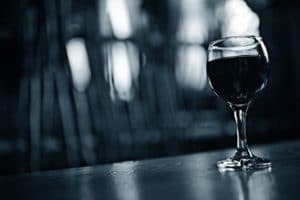 Many individuals are not aware of just how detrimental to one’s oral health alcohol specifically can be. City Dental Centers presents this article to discuss these potential consequences. Liver cancer is a common thought when it comes to a potential cancerous side effect of alcohol. However, alcohol can cause many kinds of cancers. Oral cancer is one of them as well. In fact, the risk of oral cancer is six times higher in those who drink alcohol compared to those who do not. If you plan to drink, moderate yourself and keep yourself active with a good diet to promote a healthy immune system. Also try to make sure you brush your teeth before going to bed, especially after a night of drinking! Alcohol dries out the mouth while also dehydrating the body. With a dryer mouth, bacteria is free to grow and damage the teeth. In addition to damaging the teeth, bacteria and plaque can grow beneath the gum line and cause gingivitis and gum disease. It is always advised, for both overall health and oral health reasons, to make sure to drink plenty of water when consuming alcohol. While most people ignore this rule, it’s a good rule of thumb to try and consume at least one if not two glasses of water for every alcoholic drink you consume. This will help prevent you from getting dehydrated and your mouth drying out. Are you putting yourself at risk of oral cancer and other oral health issues by drinking? The truth is that the only way to completely protect yourself from increasing your risks of these problems by drinking is to not drink altogether. Of course, not drinking at all isn’t the choice for everyone. So if you do decide to drink, always make sure you stay hydrated, set reasonable limits, and make responsible choices. City Dental Centers and City Dental Kids & Braces cares a lot about the health and welfare of our patients. While we’re here for your teeth, we want your overall health to be good as well. Make good choices and take care of yourself! City Dental Centers and City Dental Kids & Braces are the number one choice for your oral health concerns. To schedule an appointment, gives us a call or visit one of the appointment links at the end of the article below!